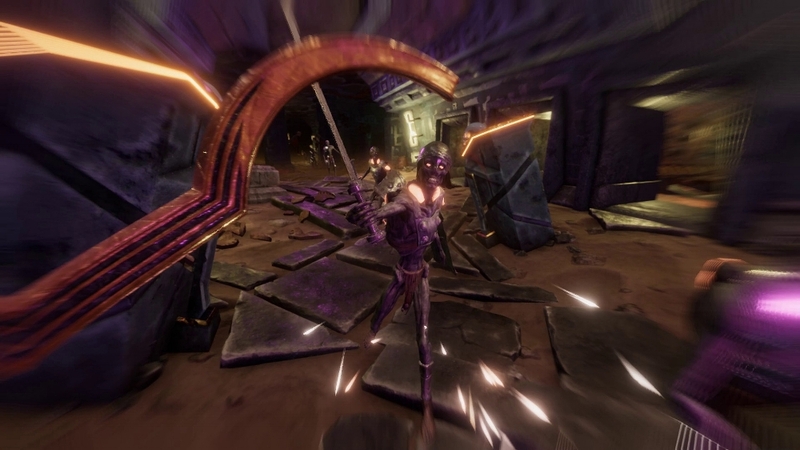 Elderborn pares the melee combat experience down to the essentials of a few weapon strikes and a kick, a variety of weapons and a small army of monstrosities to kill over a series of interlocking levels. Forget character creation or story, or even context, Elderborn is pure, heavy-metal combat. Or at least, that’s what its music and visuals suggest it wants to be. Elderborn is not procedurally generated, which means that enemy placement will always be the same for every run, adding a Dark Souls-like puzzle element, where successful strategy relies on memorization and planning. Due to the vertical nature of many areas, enemies attack at range from above as well as laterally, but kicking them into the depths is very effective. Although not strictly a roguelike, death in Elderborn means a reload to the last save point. In general, it’s the kind of game in which you learn the levels and progress incrementally through each failure. Elderborn is not a long game, which is about right, given its limited feature set and modest goals. 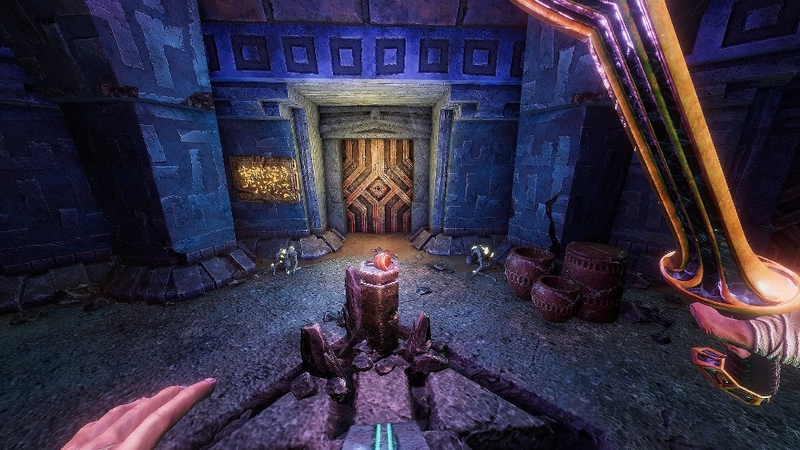 The game is full of saturated, glow-in-the-dark colors and a lot of grotesque, zombie-like creatures but no one would mistake it for a big-budget production. Textures, character models and animations are fairly primitive by recent standards and the combat isn’t especially satisfying. It does have a very Doom-like feel, minus the sci-fi elements of the classic shooter. Perhaps Elderborn’s greatest strength is its level design, which features lots of secrets, shortcuts and traps that can be used to dispatch enemies as well as harm the player. Focused almost entirely on confined spaces, ledges, small rooms and corridors, the levels do offer the opportunity to approach enemies in a variety of ways or even skip past them entirely. Given the fairly limited amount of content, it would be great if Elderborn included some sort of level editor/designer. I could see players having a good time using the toolset to make their own diabolical levels. I can appreciate Elderborn as an antidote to some recent games which overwhelm the player with too many choices and layers of fat and fluff. While its combat is challenging and fun for a while, I think players will want just a bit more to do and little more reason for doing it. Elderborn can feel like an abstract exercise in retro melee combat and needs to find additional ways to engage the imagination of the player.